As Melbourne leaves behind the summer weather and the leaves begin to fall, it's time to turn our attention towards transeasonal wardrobe pieces that will ease us into the new season. Transeasonal clothes are the building blocks to add upon as the weather changes; they need to be easy-to-wear and suit the varying weather conditions that Melbourne can serve up. But most of all, transeasonal style is all about investing in classic pieces which will get worn multiple times throughout the season, year after year. Lisa wears Saba Penelope Drape Dress, Mollini Shoes & Braun Buffel Bag. 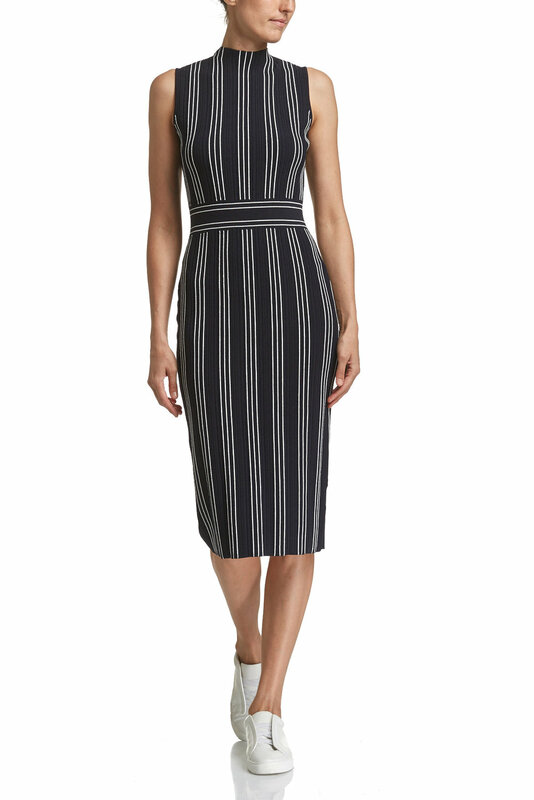 Consider the midi dress the workhorse of your transeasonal wardrobe. From late summer, through mild autumn days and into winter, the midi works well paired with peep-toe booties, ankle boots, heels or sneakers. 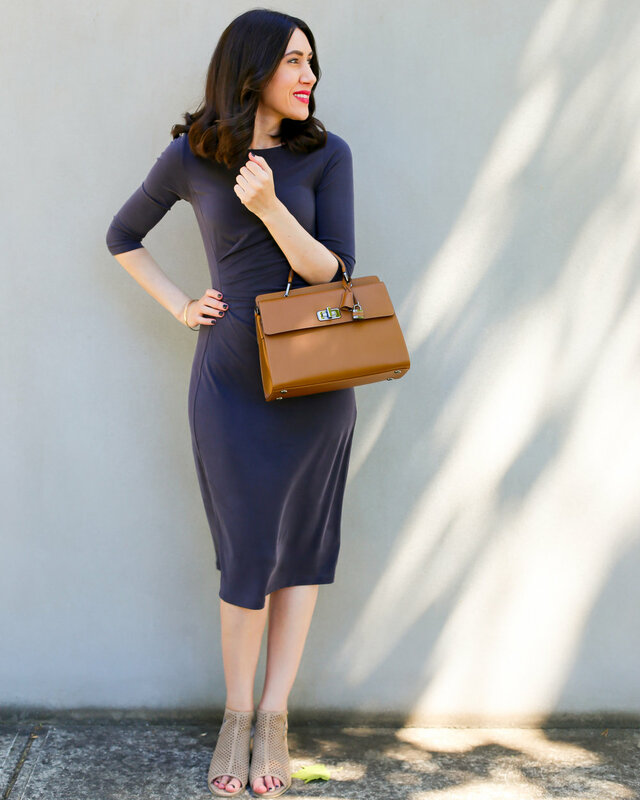 Opt for a midi dress in a jersey or knit fabric to allow flexibility to layer cardigans, jackets or scarves over. The midi dress is the perfect base to build your desk to dinner looks around, whilst still being comfortable regardless of the weather. Luxe leather is a wardrobe staple that is always in style; autumn being the optimum time to show some leather love. 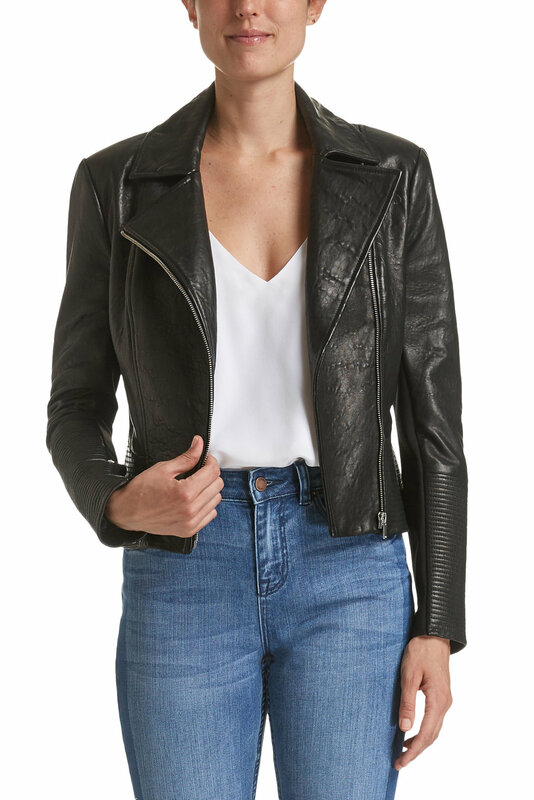 You seriously can't go past the classic leather jacket for its chic style and versatility. 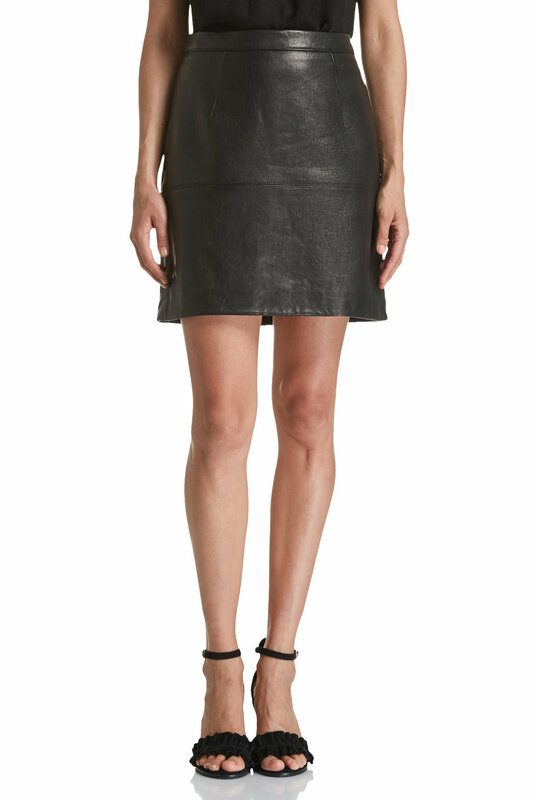 To transition those summer dresses into autumn faves, throw on a leather jacket for additional warmth. To elevate your corporate style, switch out your regular pencil skirt for a leather skirt and team with blouses for an easy office style update. When it's too hot to opt for a heavy coat, but still cool enough to require some protection from the elements, the trench coat will be your style saviour. Lightweight and flexible, the classic trench is the perfect transeasonal style piece. Wear it open with layered pieces underneath for a relaxed put-together look, or buttoned and belted up for a more structured look that will give Inspector Gadget a run for his money! Long-line cardigans with drape fronts are also an excellent option when seeking a stylish add-on for warmth and give an instant cosy look and feel to any outfit. Remember though, when styling a loose flowing cardigan or trench, it's always best to layer over a fitted dress or pants and top, as loose fitting base layers will tend to create a bulkier look. As we say farewell to summer florals, it's not all doom and gloom without any print or pattern to be seen. 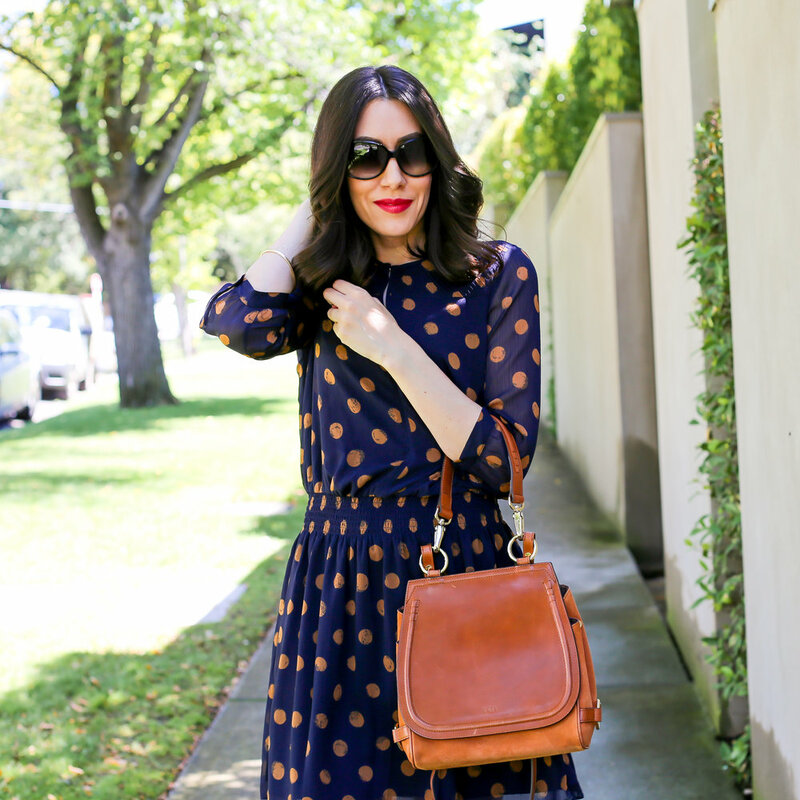 In fact, if you're simply dotty for prints, then opt for classic shapes! Spots and stripes are easy ways to introduce some fun and variation into your classic transeasonal wardrobe. They'll never date and are suitable for a variety of occasions...and seriously, can you ever not be happy when dressed in polka dots? To truly nail transeasonal style, take inspiration from nature's falling leaves and neutralise your accessories. Tan, camel and beige reflect the seasonal changes and are the perfect essentials to match with any outfit. Shoes and bags are investment pieces that should get multiple wears, so by choosing classic colours, they'll transition with your outfit from warmer days into winter months.